I heard from Rick Black at Turtle Light Press today with some exciting news: he has finished a handful of tweaks and adjustments based on the first proof of The Deep End of the Sky, and he has just ordered a second proof! 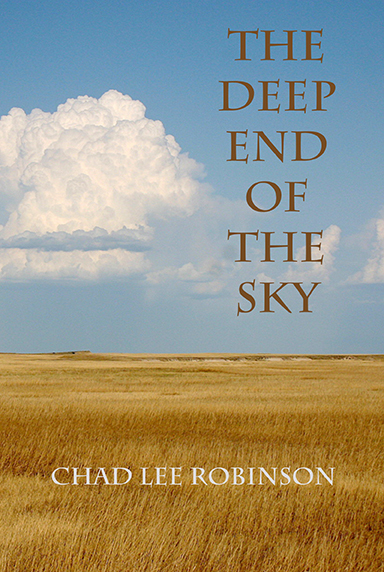 So with the publication of The Deep End of the Sky just around the corner, I thought it would be convenient to bring all of my previous posts exploring The Deep End of the Sky into one place for easy access and hopefully to peak your interest once more. The Deep End of the Sky was selected by Penny Harter as winner of the 2014 Turtle Light Press Haiku Chapbook Competition, and is scheduled to be published by Turtle Light Press this spring. The book can be pre-ordered from Turtle Light Press here. Shipping is free within the U.S. This is the fourth in a four-part series exploring the seasonal sections of my forthcoming haiku collection The Deep End of the Sky. The Deep End of the Sky was the winner of the 2014 Turtle Light Press Haiku Chapbook Competition, and is scheduled for release in late spring or summer of 2015. Originally called “Shiver”, “Home Early” is the title of the winter section of The Deep End of the Sky. This section is the longest of the collection, clocking in at 14 haiku. It had 11 haiku in the original manuscript, but it was agreed upon that the collection would be stronger by making “Home Early” slightly longer to bring the reader out of winter, which can be long in South Dakota (I have seen snow as early as October and as late as May), and into spring, or at least hint at the coming of spring. As the section title suggests, many of the haiku found here are more introspective than in previous sections. The last poem of this section, and ultimately of the collection, is a brand new, previously unpublished haiku. I won’t show it to you here though. I don’t want to spoil the ending. Now that you’ve read about The Deep End of the Sky, how about pre-ordering a copy of the real thing. If you can relate to the poems, if it seems like a book you’d enjoy, please visit Turtle Light Press here. It’s $12.50 per copy with free shipping in the US. This is the third in a four-part series exploring the seasonal sections of my forthcoming haiku collection The Deep End of the Sky. “Farm Lights” is the title of the autumn section of The Deep End of the Sky, my forthcoming collection of haiku from Turtle Light Press. “Farm Lights” contains 11 haiku and takes the reader into the work of harvest and chores before the onset of winter. “Farm Lights” also includes haiku about hunting. The opening of pheasant season in October in South Dakota is a huge attraction for hunters of all kinds from all over the world. Some of this haiku’s awards and honors include The Heron’s Nest Award, a Touchstone Award for Individual Haiku from The Haiku Foundation, and inclusion in Haiku in English: The First Hundred Years (W.W. Norton, 2013). As in previous sections, there are a few haiku about family but not as many. There is one that I would like to end with that was not part of the original manuscript, but was later added in place of another haiku. If you have enjoyed the haiku in this post, and in my previous posts “The Tractor’s Radio” and “Rows of Corn”, then you should think about getting a copy of my forthcoming collection The Deep End of the Sky. You can pre-order it from Turtle Light Press for $12.50 with free shipping in the US. It is scheduled for release in late spring/summer 2015.